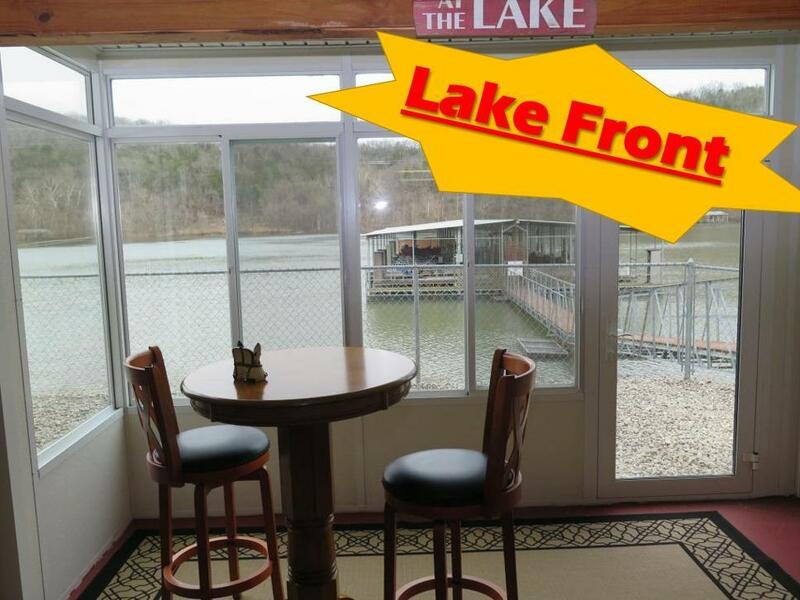 Located right on the water in Silvercreek Condos, this home is just 15 minutes from Branson. Quietly nestled on the banks of Lake Taneycomo. Well-kept with an added Four Seasons Room that allows you to watch the fishing, ducks, geese and other wildlife up close and beautiful -- year around. Open floor plan kitchen/living room that walks right out to the roomy sun room. Large master and bath with dual vanity, jetted tub and plenty of storage. 2nd bedroom equally roomy. Large laundry room conveniently located off of the kitchen. Owners have added efficient, wall-mounted fireplaces in each of the bedrooms and in the living room adding spectatular ambience. Includes furniture. End unit with lots of add'l nature light. Owner will also purchase one-year warranty on all appliances.